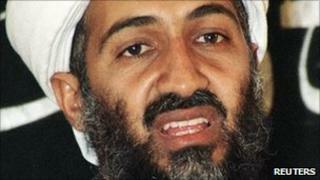 A US salvage diver says he will scour the bottom of the north Arabian Sea to hunt for the body of Osama Bin Laden. Bill Warren says that he wants to establish once and for all whether the al-Qaeda leader was killed by US forces in May, and then buried out at sea. Mr Warren, 59, says his search will begin in about four weeks time, and will cost around $400,000 (£245,000). He admits it will be like looking for a needle in a haystack, but maintains it is not an impossible mission. Mr Warren, who runs a California-based salvage company and has worked on 200 ship wrecks, told the BBC he had "some doubts" as to whether Osama Bin Laden was dead because the US government had not showed any images of the body. Should he succeed in his mission, he says, he will photograph and video the corpse, and also take a sample of hair - either from Bin Laden's head or his beard - for verification purposes. Mr Warren admitted the chances of success were slim, but said modern equipment could scan large areas of the sea floor. "I've done side scan sonar in 10,000 feet (3,000m) of water and spotted a toilet, a tyre, a coffee cup - you can actually see the ripples on the sand." Mr Warren says his search will begin in the shallow waters off Pakistan. If that proves fruitless, then he will move to a deep water search. He says he is hoping for a tip-off on the approximate location that the body was thrown overboard.